Picture of the Angel of the North. 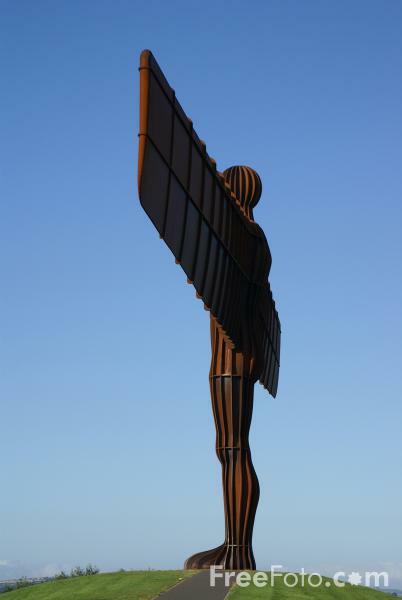 The Gateshead Angel was created by sculptor Anthony Gormley. It weighs 200 tons, stands 20 metres tall and has a wing span of 54 metres. The Angel is now also one of the 12 official Icons of England in a major government-sponsored Culture Online project.